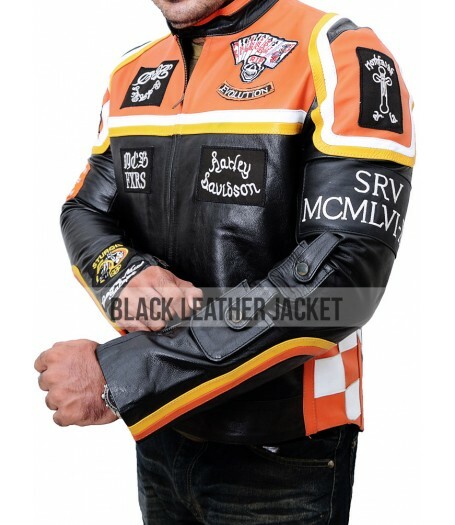 The Harley Davidson and the Marlboro Man Jacket is an inspiration taken straight out from the epic movie Harley Davidson and The Marlboro Man. 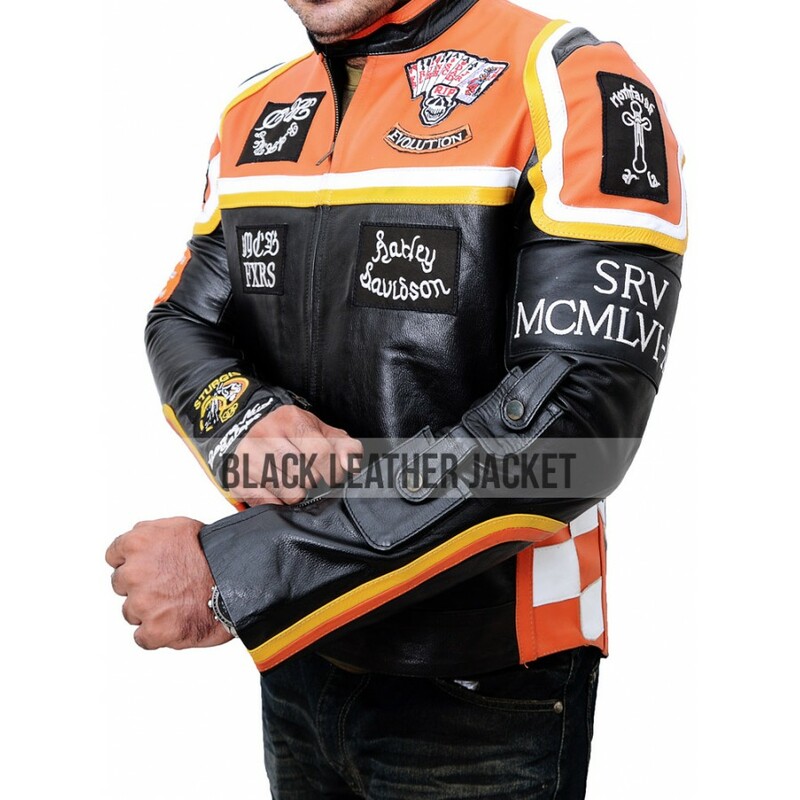 In the film, Mickey Rourke portrays the character of Harley Davidson who is a friend of Marlboro Man; together they decide to rob the bank. 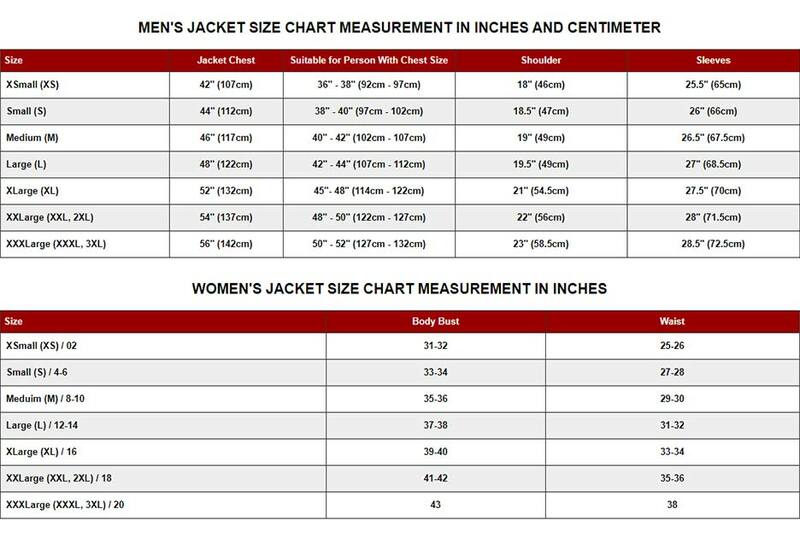 The Marlboro Man Jacket is available for sale, known for its cutting edge designing and approach in genuine leather. 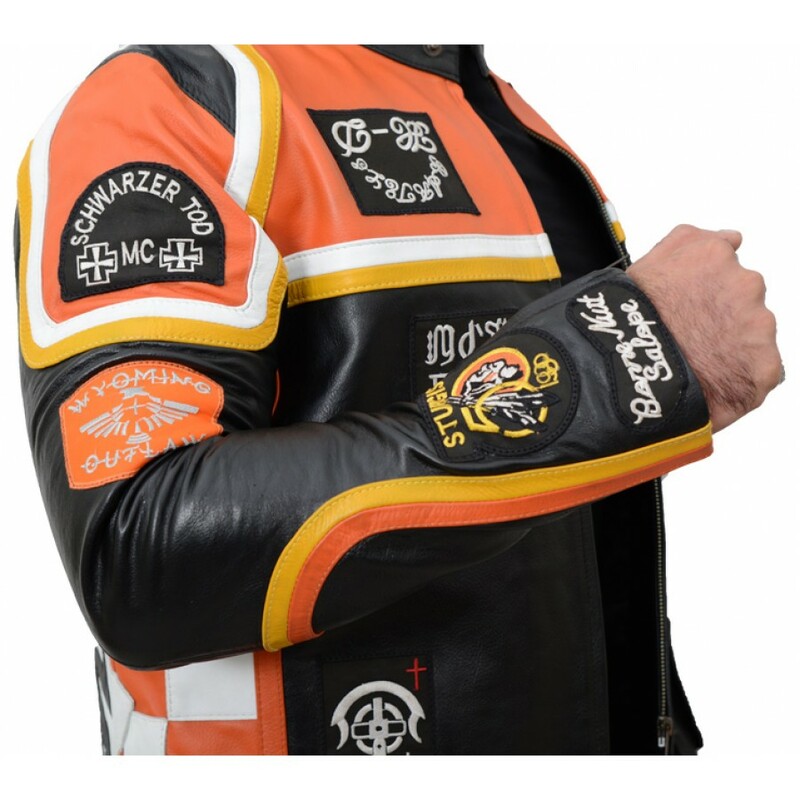 The marvelousness of this fantastic jacket speaks for itself and adds attraction with its designed logo patches and white, yellow and orange color patches. 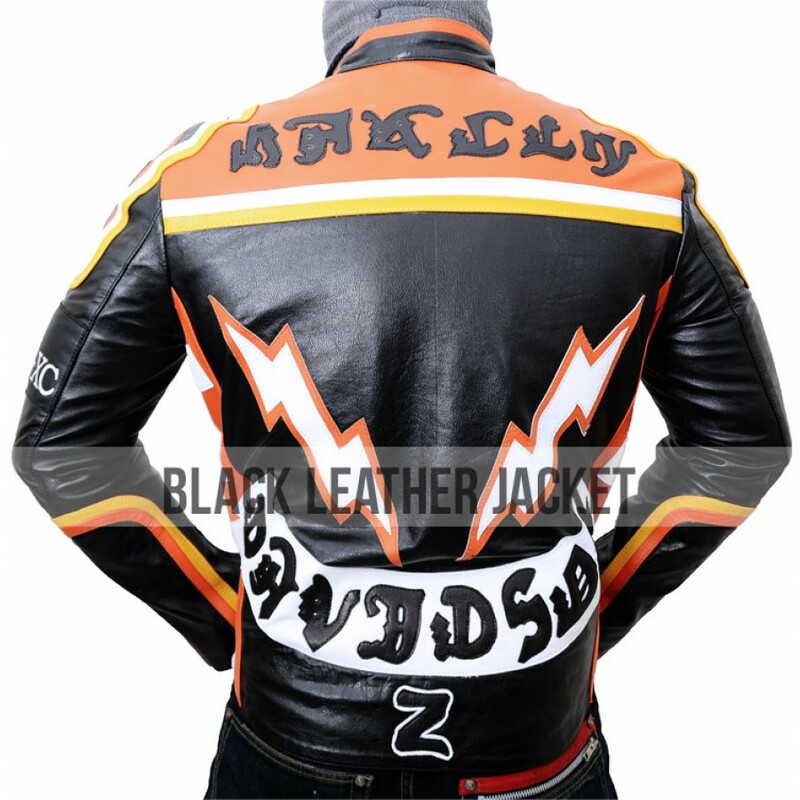 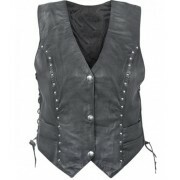 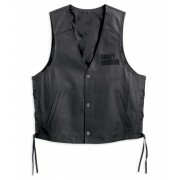 However, Black-Leather Jacket recommends you to buy the leather pants, alongside, the Harley Davidson Marlboro Man Jacket, available for sale.